Warehouse management that is Just Right. ezStore is a warehouse management solution that works with SAP ERP. It provides a "just right" combination of functionality - including bin-level storage without unnecessary complexity, mobility, barcode scanning, a consumer grade user experience - plus ease of implementation and maintenance. Change management and training requirements are minimal. Do you need bin-level storage without all of the configuration and master data maintenance? ezStore provides bin-level storage without unnecessary complexity. Stock is stored at bin level, with simple, fault-tolerant movements into and between bins. Potential issues are detected and corrective workflows triggered when needed. Very little configuration and master data maintenance is required. In addition, data gaps are addressed in simple, preemptive workflows. Scan To Action - Just scan anything and ezStore lets you action it. Why can't enterprise applications be easy to use? ezStore enables efficiency and accuracy by providing an intuitive and powerful user interface that works on iOs, Android and Google Chrome on any device. 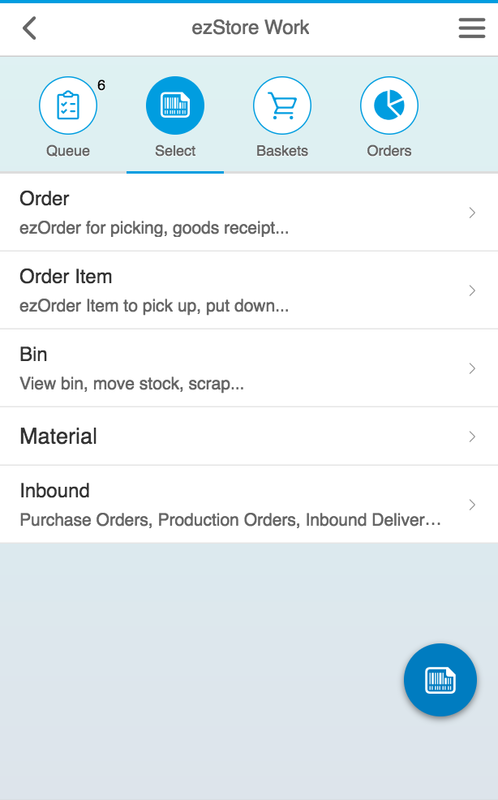 With Scan To Action, users simply scan any order, bin, material and more - the app figures out where to go next. With Scan to Enter, users can scan instead of typing. 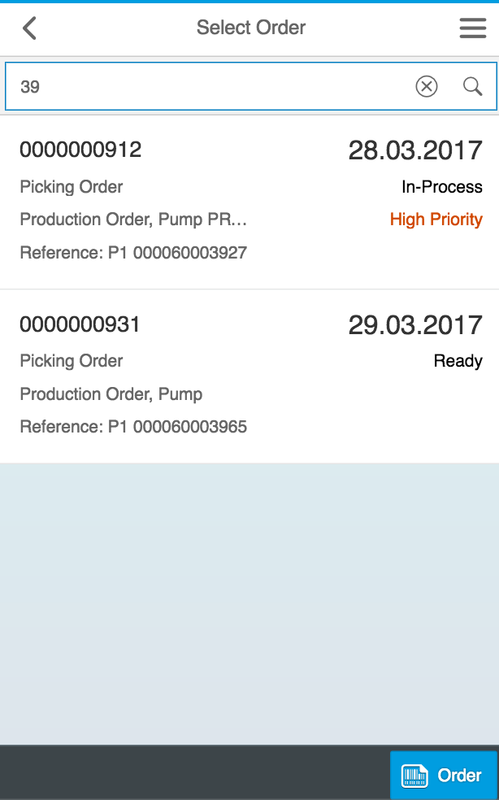 With Scan To Confirm, users scan bins, batches, serial numbers, materials and more to select and confirm. User interfaces are intuitive and contextual help always available. Easy data entry with Scan To Enter. Why can't I press a button for that? ezStore allows employees to trigger workflow when something is wrong, like inaccurate stock or missing master data. ezStore Queues show users what to do next, including tasks like picking, correcting potentially inaccurate stock information and creating missing master data. Where possible, tasks are automatically created and prioritised in the relevant queue. For example, a task is created for maintaining missing master data before a material is receipted. Employees can manually create and prioritise tasks in particular circumstances. For example, a supervisor can expedite a picking order, or an employee flag a stock discrepancy. Why take months to implement complexity you don't need? ezStore understands Goldilocks. We stick to what is just right for you in terms of functionality that needs configuration and master data, then add the wow factor using user interaction design and machine intelligence. Very little configuration and master data maintenance is required. In addition, future data gaps are addressed in simple, preemptive workflows. 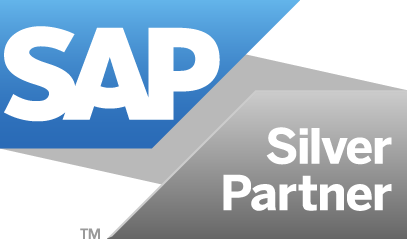 ezStore works as an SAP ERP ABAP add-on, so there is no separate system to install and maintain. 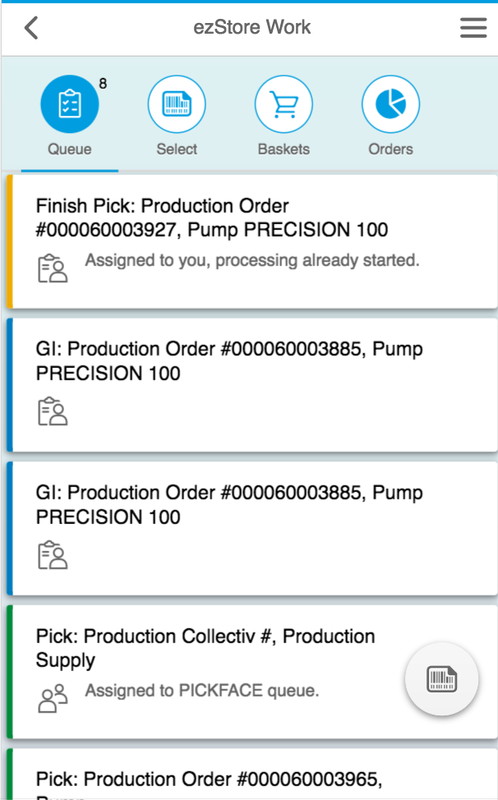 User interfaces are based on the same technology that SAP Fiori uses. Let's discuss how ezStore can improve your warehouse operations. We'll send you the latest useful information about smart systems and workforce enablement. Get in touch by email or on any of these social networks.